WHERE: MASSHIRE Metro North Career Center, Woburn, formerly The Career Place, 100 TradeCenter, G-100, Woburn, MA. Free Parking. COST: $63.00 Materials fee $7.00 TOTAL: $70.00 Laptops are welcome. 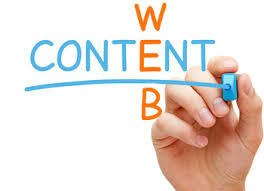 Content is key to your website’s success and it’s easy to feel overwhelmed by content creation. This workshop will make this task a lot easier. In it you’ll learn how to break down the project to make it more manageable and master three tools that make writing a site easier 1) Personas, or customer profiles, keeping your content focused on what your readers want to learn, 2) Brand Key, to talk more easily about your company and what you have to offer, and, 3) The Reader’s Rule which will keep the tone and style of your writing sharp. Presenter: Susan Munter is an experienced brand strategist, working for over a decade with leading advertising agencies such as Digitas, Hill Holiday and PJA. She has advised companies across the globe, including American Express, Johnson & Johnson, Iron Mountain, Genzyme and the US Army. She heads Branding Band, a marketing collaborative serving entrepreneurs over the age of 55.